First and foremost it’s important to understand that if you are purchasing and syncing apps to multiple devices that are owned by a school or district department, you must purchase a license for that app for every device you intend to use that app on. How do you do that? Through Apple’s Volume Purchase Program (VPP). See who has access to purchase apps for your school on this sheet or request access to your school’s account by completing this form . The person with access to the VPP store is called the “Program Facilitator” or PF. 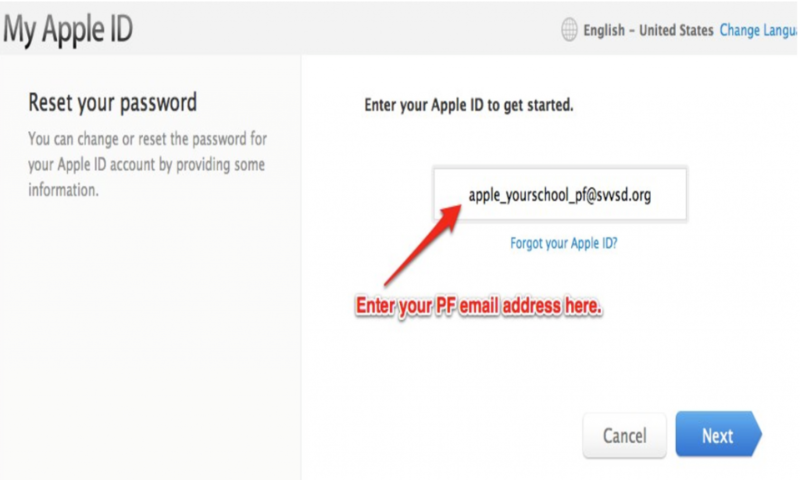 On the Apple ID setup page enter the email address for your VPP AppleID and click NEXT. A new email will be sent to your PF email account. Click the link in the new email to set a password and complete the setup. 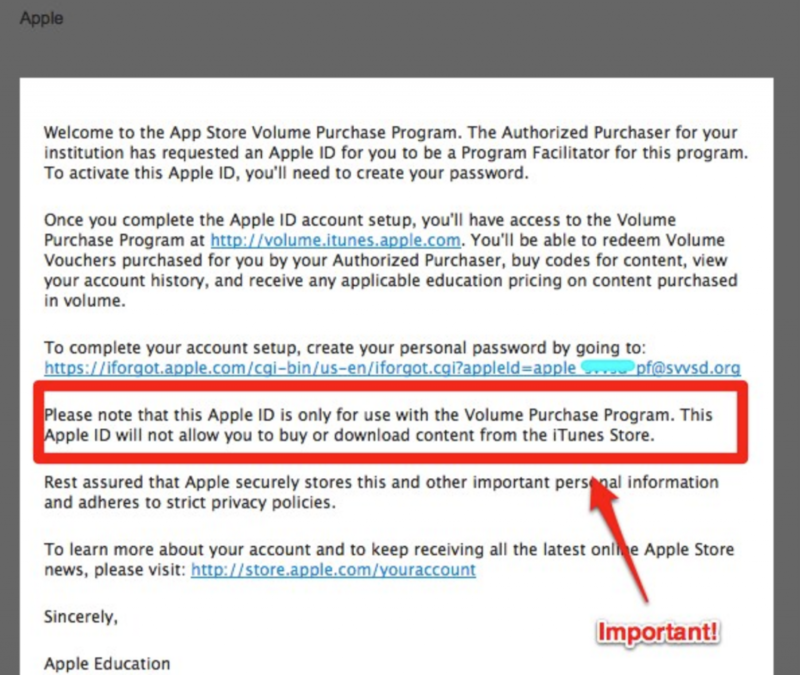 Once your VPP account setup has been completed, head to https://volume.itunes.apple.com/us/store/ to log into the Volume Voucher store with your Apple ID PF email and the password you just created.